Creating the Photograph: Chantal Routhier's "Science Fiction Fantasy"
Photographer Chantal Routhier was recently named one of Canada’s Top 30 Inspiring Wedding Photographers for two years in a row. Part of this for sure come from her special creative vision that’s evident in her “Science Fiction Fantasy” photo. Her work has been featured in a number of publications. She describes her work as fun, bright, and modern. Be sure to check her out on Instagram, Facebook, Pinterest and Twitter. When I started chatting with Tanya and Michael (my future Bride and Groom to be), we very quickly realized that we shared a love for science fiction. When it came time to discuss a potential nighttime image for the couple I knew I wanted to create something absolutely magical for them that shared our favorite genre of movies and shows. Along with my love of science fiction I was always obsessed with the nighttime sky and Milky Way. I wanted to create an image that incorporated the elements of fantasy, outer space, and rich colors for them. Yet I knew incorporating the actual milky way was not in the realm of possibility due to excessive noise pollution near their Halifax city venue. 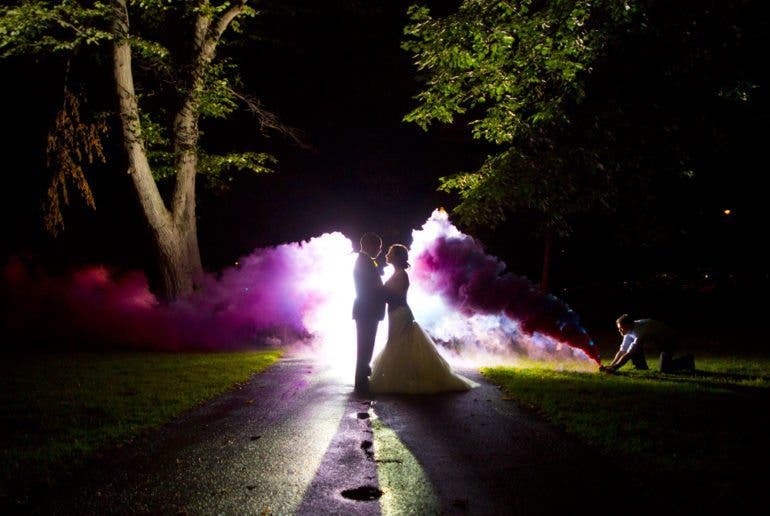 I knew this was the perfect opportunity to use smoke grenades in a wedding image! After a few quick tests with friends I realized you could still see the colors from the smoke grenades at night when you lit them properly. 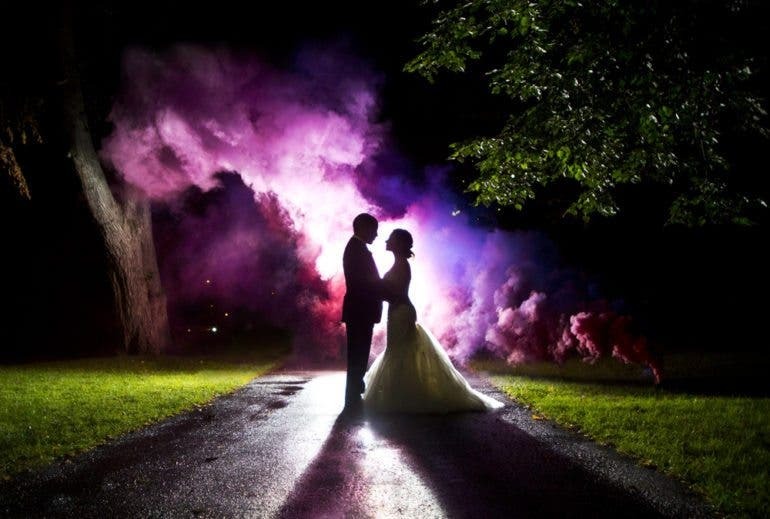 Finally I had a crystal clear vision for Tanya and Michael’s night image: create a silhouetted image with the smokes grenades behind. I wanted a very purple color (reminiscent of the milk way) but with varying tones to convey more intrigue in the image. 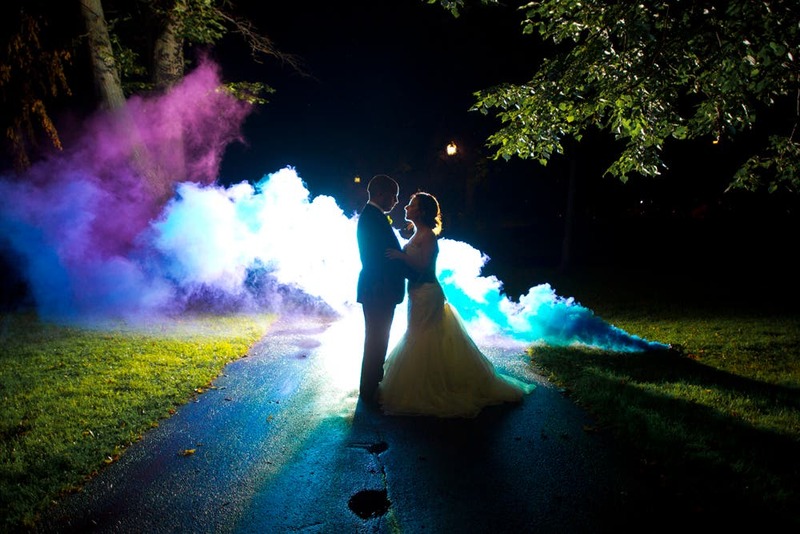 I felt the best way to achieve this wasn’t to actually use a purple smoke grenade but to use one blue and one red smoke grenade simultaneously allowing those color combinations to do their magic. After waiting until the dance floor was very packed and people were having fun. I requested my Bride and Groom come outside with me. My assistant and I had already scouted the location and set up the shot. One of the biggest challenges of this picture was location. We were in downtown Halifax but found a small grassy patch close to the hotel. The least distracting item in the area was actually a bench and a garbage can. In the first image you can see the assistant and more of the red smoke while he is lighting the second blue. The second image (the winning image) the assistant has left the frame and the smoke grenades were mixing perfectly. The third image the blue smoke grenade is more prominent and we very quickly lost the effect. For a lighting set up it is actually quite simple. One bare flash behind the couple. As a wedding photographer I prioritize portability, speed, and convenience, so I try to keep my lighting streamlined as possible. 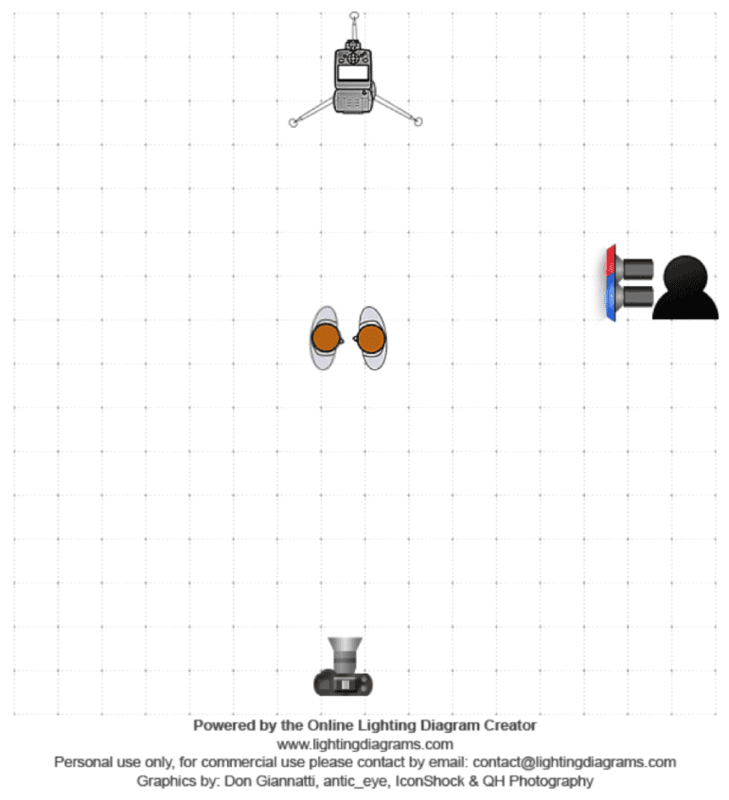 In the diagram below, I used a red and blue light to symbolize the red and blue smoke grenades. 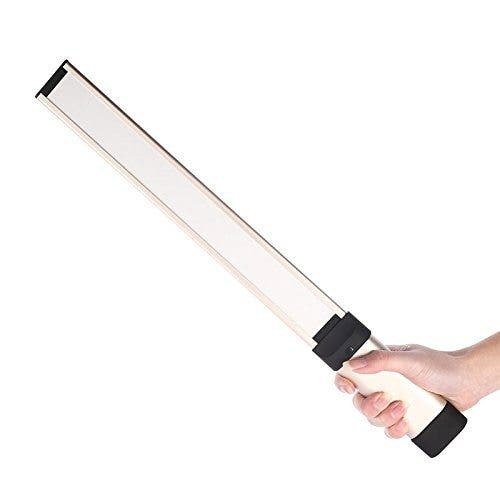 The trick is to have your lighting a little brighter than you need to so it highlights the smoke at its thickest cover. 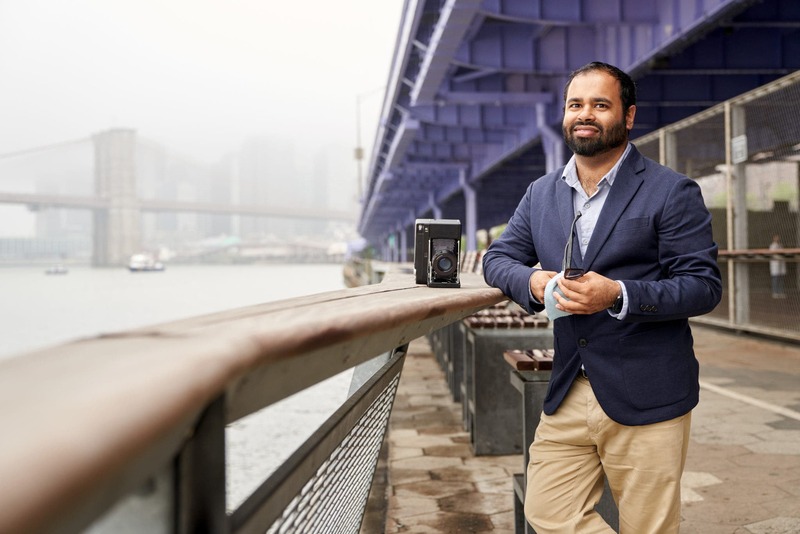 The natural diffusion proprieties of the smoke are going to give you a magical soft light when in that correct exposure. Post production straight out of the camera was adding contrast and vibrancy. I did Photoshop some larger items out of the image like the bench and garbage can. Also, some distracting bits on the grass and pavement were removed.